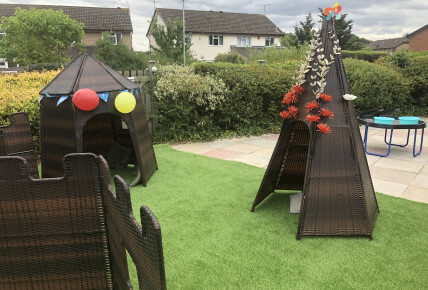 We at Busy Bees in Woodley are extemely excited to announce that we have had our long awaited garden makeover. 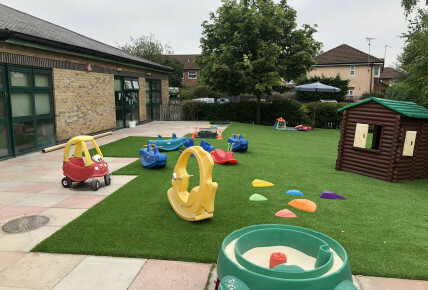 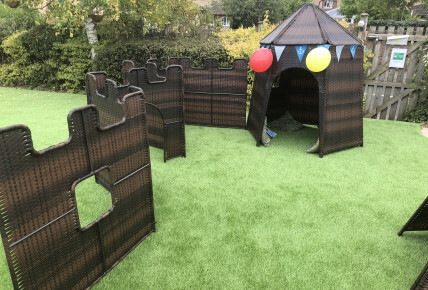 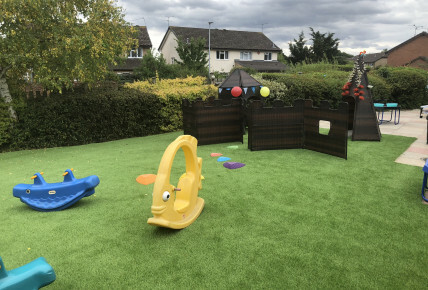 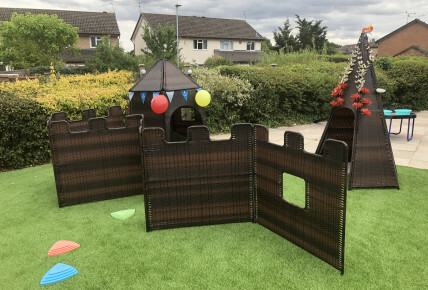 We have had new artificial grass laid and have changed the whole look of the garden by adding new natural resources to enhance the safety, play and imagination of all our children. 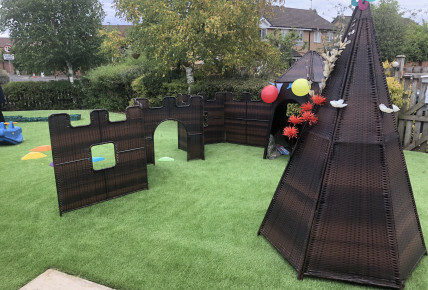 The children are loving playing in and around the new castle walls and it's towers, and it's mesmerising to watch their imagination go wild.